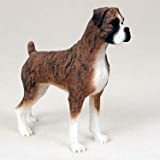 Many of you are fascinated with selecting seal brindle Boxers but it is not just Boxer dogs that share this pattern, there are many other dogs as well such as Pit Bull’s. I own a seal brindle Pit Bull puppy myself, they are not a rare pattern any more. The seal brindle coloring is not a genetic flaw, the occurrence of this is caused by the darker dominant color over the less dominant fawn color. Many of your probably have heard friends or neighbors saying, I have a reverse brindle Boxer. You are asking to yourself, well what in the world is a reverse brindle Dog? These are many of the terms often used to describe the seal brindle dogs, they are also known by another name “dark brindle”. Depending on your location in the world, these names are used interchangeably. In my part of the world which is North America, we often refer to it as “reverse brindle”. I will concentrate on Boxers in this article as they are the most popular breed being referred to as seal brindle dogs. The coloring of the seal brindle boxers are greatly affected by the light source. The brindle coloring is much more visible in lighter environments. In dark lighting the brindle color do not show and the dog will just appear to be black. You will especially notice this when the flash is off in your camera while taking pictures of seal brindle boxers. Here is a beautiful picture of a seal brindle Boxer, you can tell the lighted areas of the picture will stand out and the darker areas will just look black. 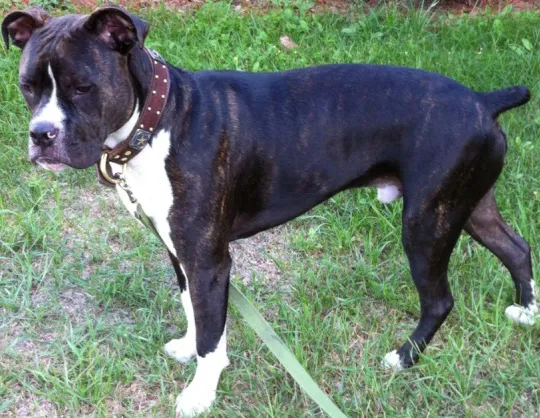 There are no black boxers, if you look carefully in the head and back legs this dog is indeed reverse brindle. 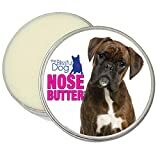 Seal brindle Boxers are just recognized as regular brindle dogs with the American Kennel Club. 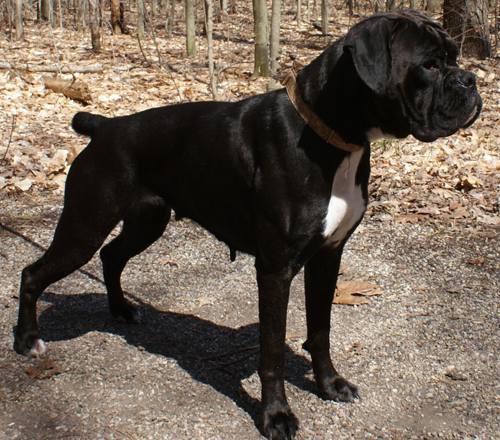 Many people may say “hey I have a black Boxer dog” this is a misconception as if you look closely, their undercoat is light in color. The brindle in them hovers over and makes them appear black. If a parent has a dominant brindle gene, most likely the puppies will be brindle regardless of their mothers color. It is also interesting to note that dogs such as Boxers can be seen only in brindle, fawn and white colors. The white coloring is due to no coloring at all, this happens when the flashing genes from both the parents are given to the puppy which leads to flashing. When only one parents donates the flashing gene it aids to white markings on the coat of the dog. If you are wondering about the nail colors, yes two white flashing genes will make the dogs nails all clear. There are some brindle Pit bull’s that you see as well. 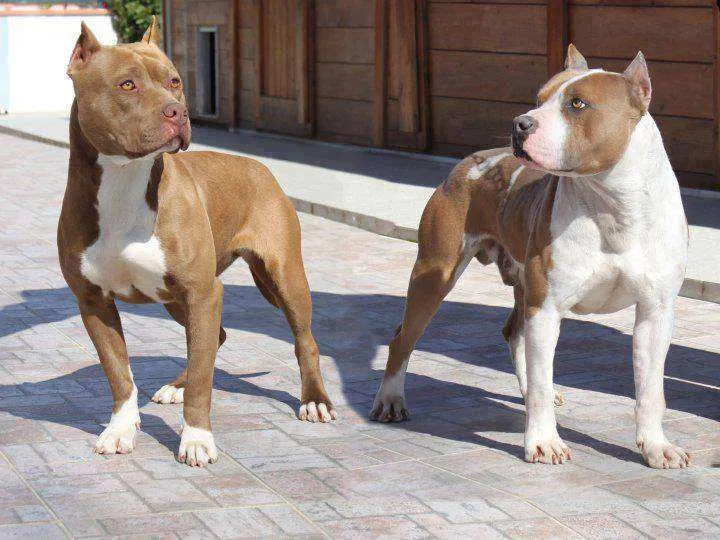 Pit Bulls come in one of the most variety of colors among dog breeds. Seal brindle dogs share darker nails compared to other dogs. 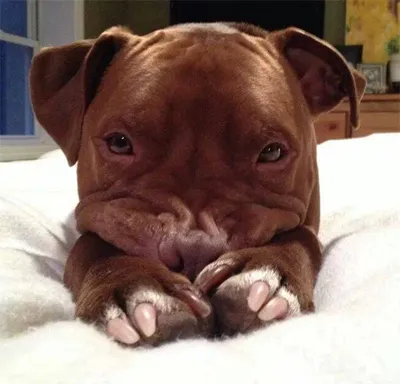 Here is a picture of a seal brindle Pit Bull Dog. Are you the proud parent of a Brindle Boxer? 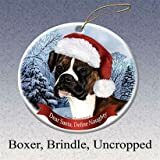 Here is some of the coolest Brindle Boxer merchandise that you can buy! I hope you got a basic understanding of seal brindle dogs and we love our dogs no matter what colors they share. If you wish to know what your puppies will turn out like, you can refer to the following chart Predict Puppy Color.